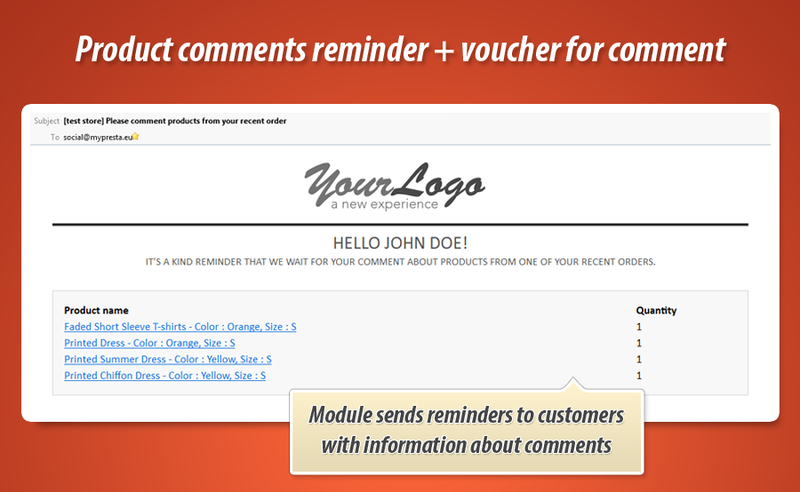 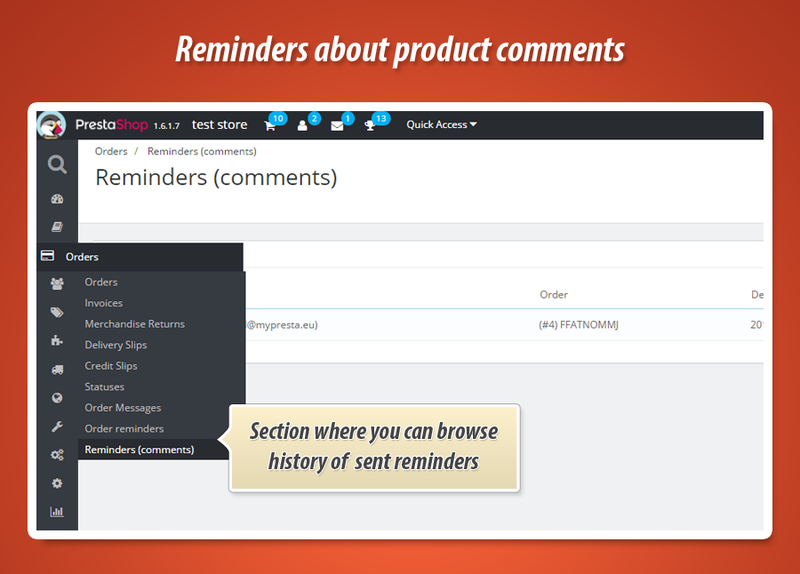 This module is a great marketing tool that sends reminders about pending comments for products that customer bought. 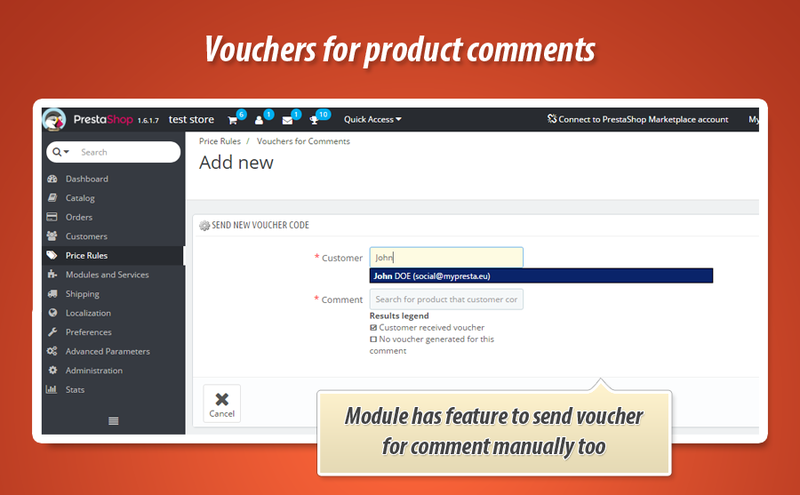 Module has also feature to send dedicated and unique voucher code for product comment. 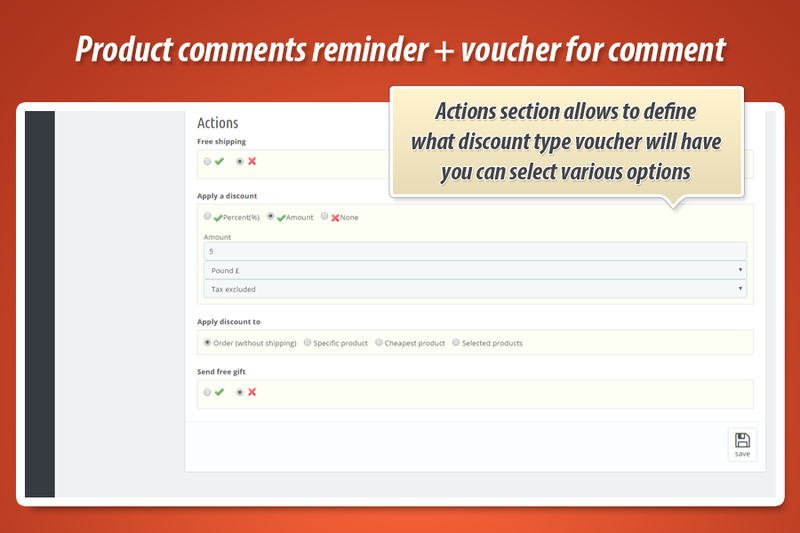 With advanced voucher personalization tool you can define each aspect of voucher code. 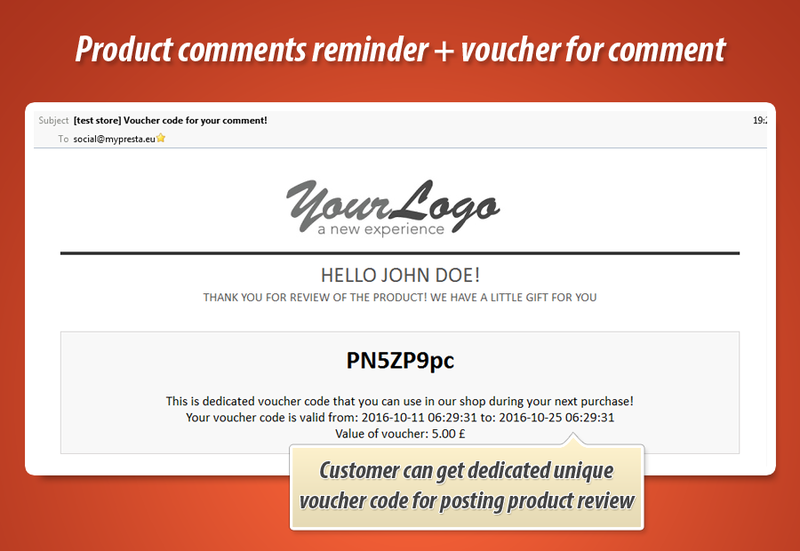 As you already know - this module sends dedicated and unique voucher codes to customers that added a product review to your store. 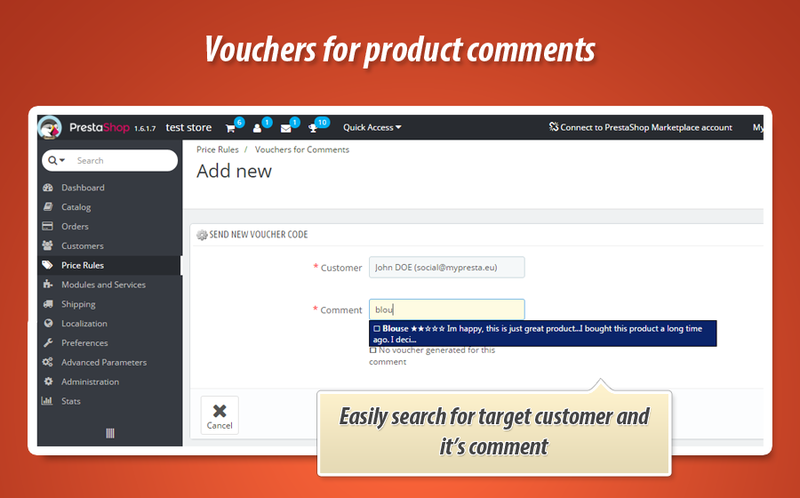 Each voucher code is unique and generated automatically for each user that posted a review. 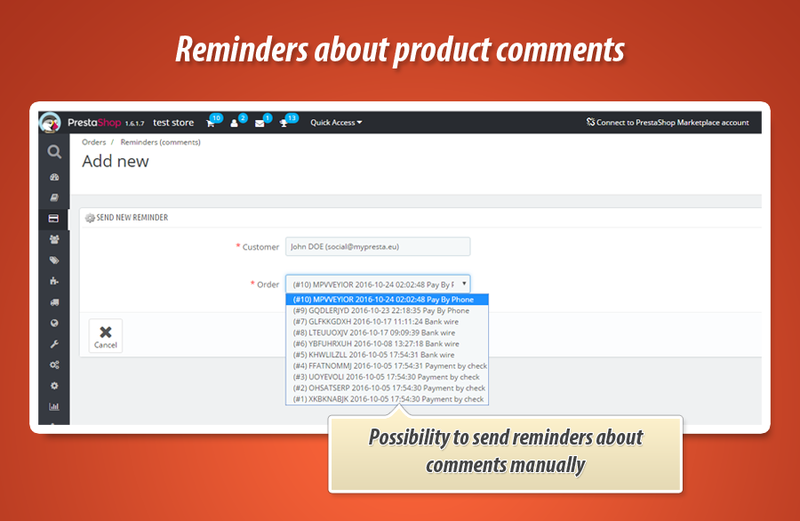 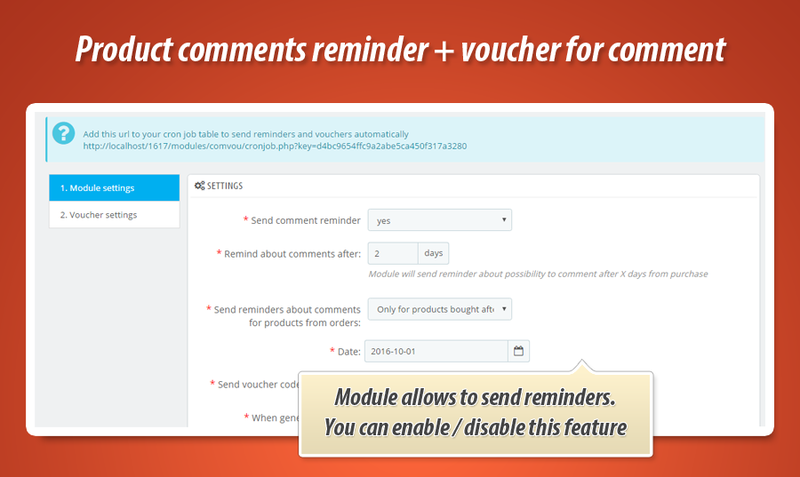 Module sends also reminders about pending comments (if user still not reviewed your product that he/she bought). 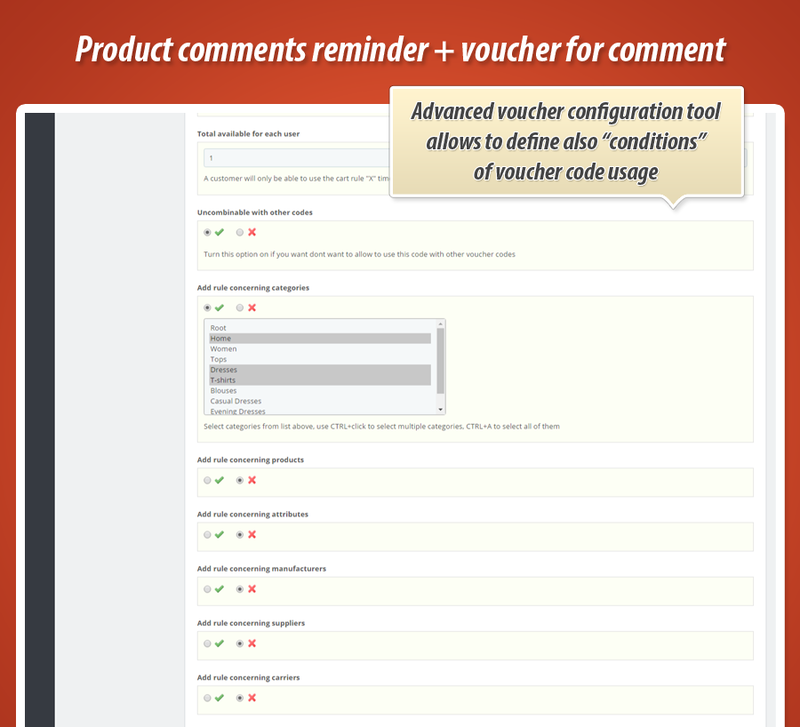 Detailed informations you can find below and on screenshots attached to this page (right hand side). 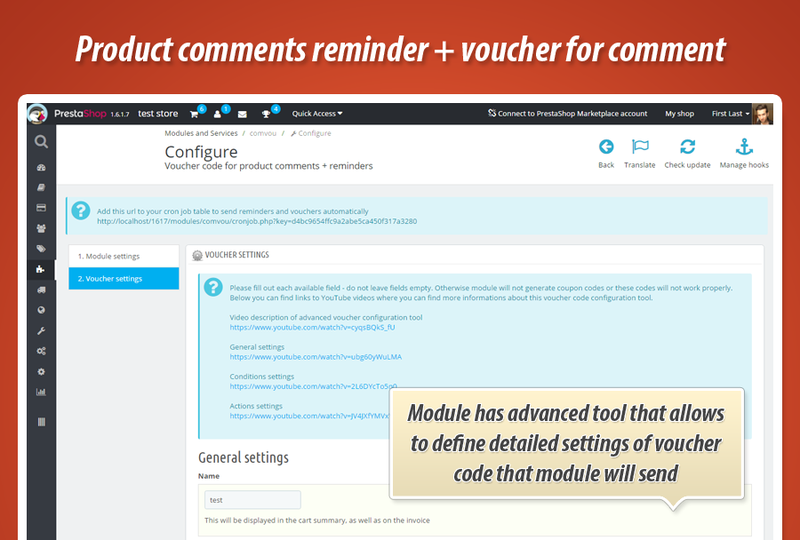 Module has a feature where you can see what codes module generated and who get them (and for what comment). 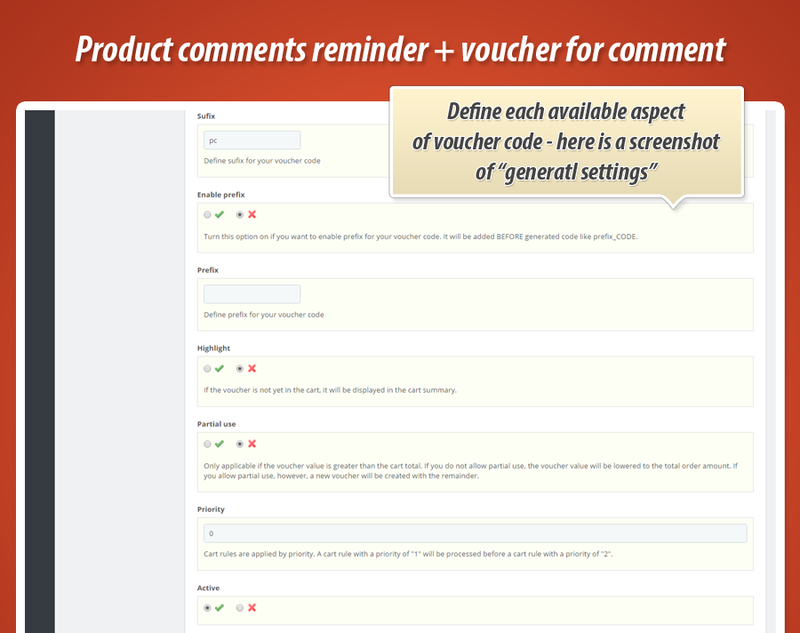 You can get the list of all vouchers under price rules > vouchers for comments section (see screenshot). 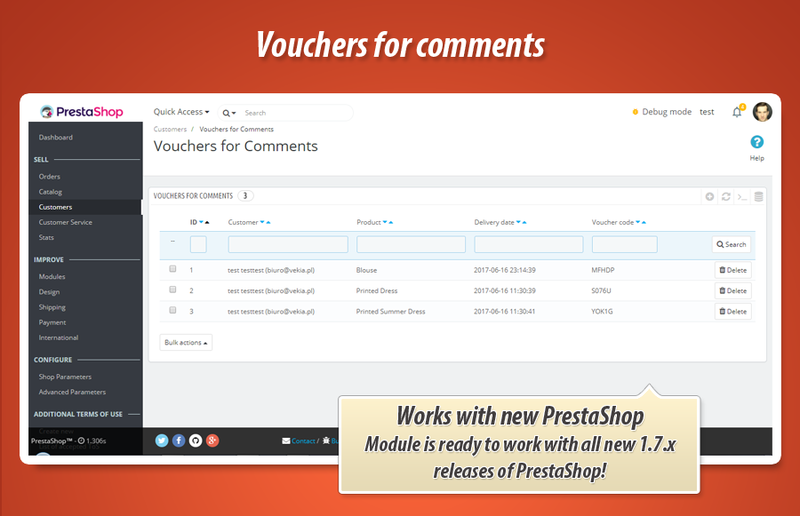 With this tool you can also easily add, generate and send vouchers manually to selected customers and for selected products. 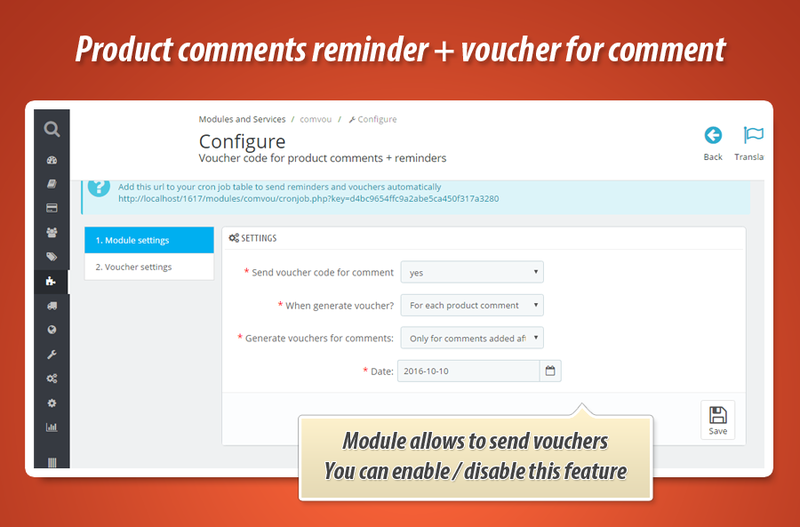 Module has feature to enable "filters". 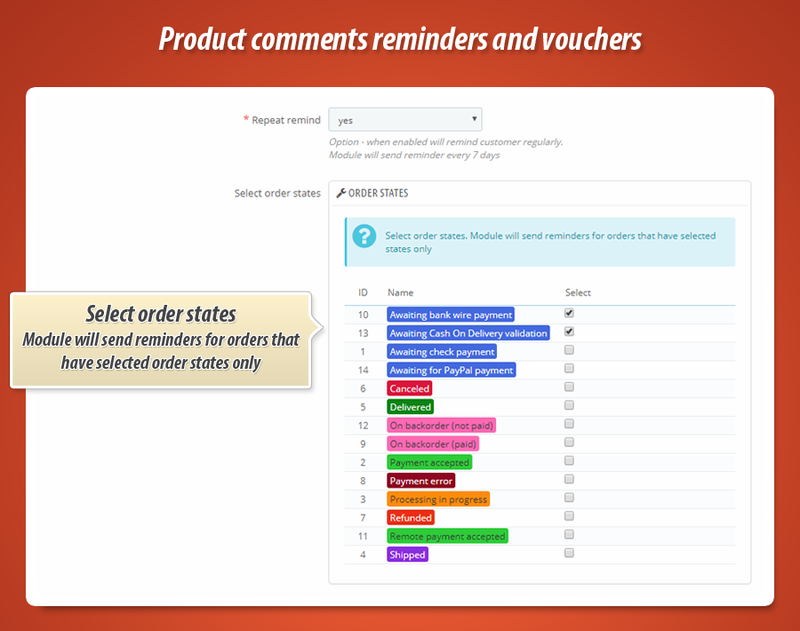 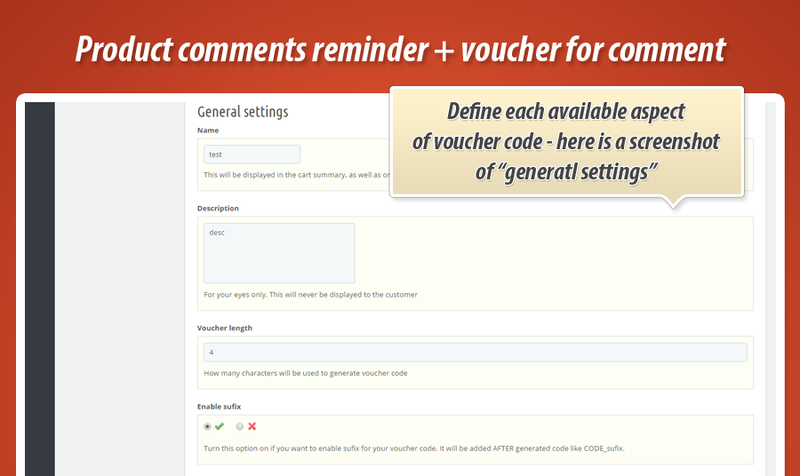 The section name is "reminders (comments)"
You can decide what groups of customers will have privileges to receive a voucher and or reminder. 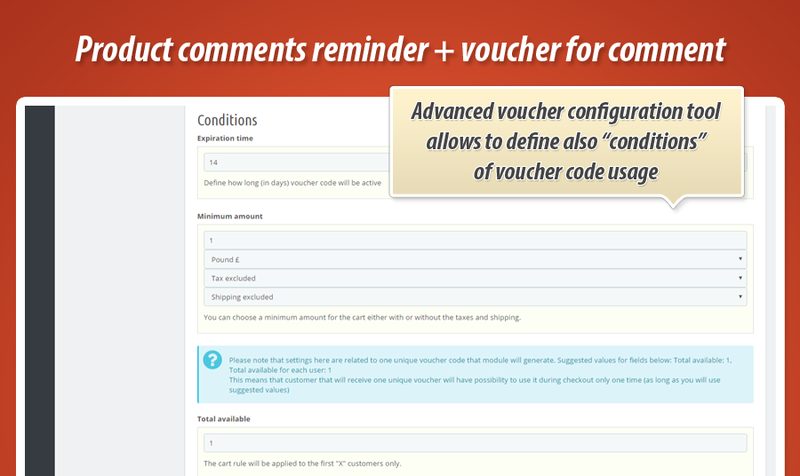 You can define such privileges separately for vouchers and for reminders. 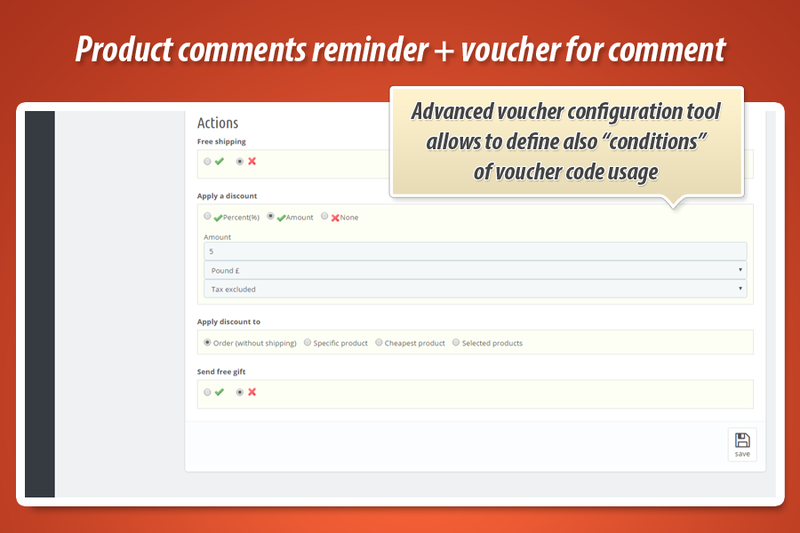 When customer will be associated with group that does not have privileges to receive reminder - module will not send it. 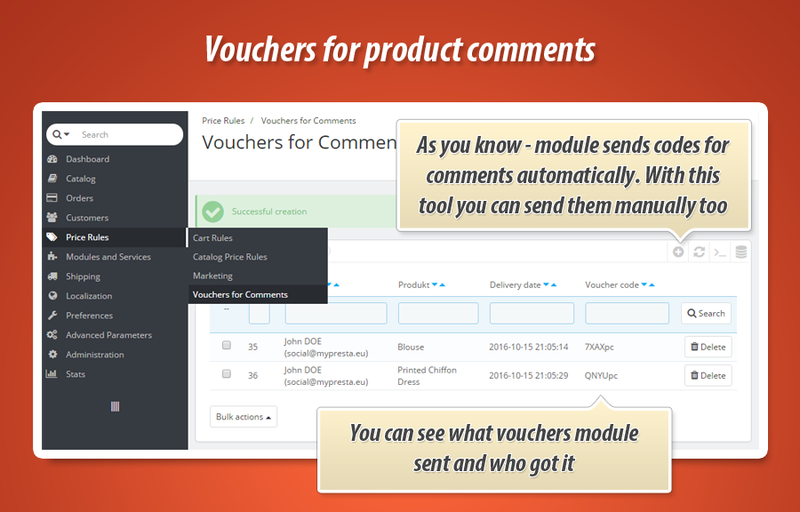 It works the same for voucher codes generation process.